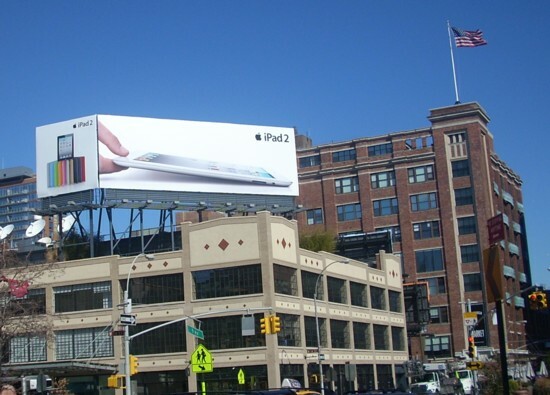 The images’ manifest content is a portrayal of the iPad as the better laptop computer. The graphics also store a considerable sexual potential. What the billboards show are three reclining people playing with something between their legs. All are using an extended digit. 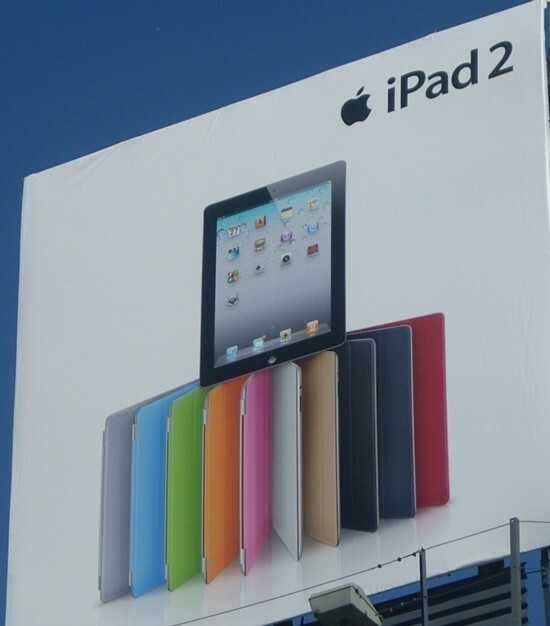 Clearly, Apple wants you to know that armed with an iPad a woman can be one of the boys. For the female figure, the hands are Michelangelo Davidesque. The woman’s chest appears in profile. The hot pink pants have many folds. Her feet are nearly as prominent as the electronic gizmo that’s being promoted. The toes highlighted by a bow peek out of the shoes with shadows showing spaces between body parts. Though the peoples’ heads are cut off , these billboards have nothing in common with liquor advertising “Silent Woman” motif. Here, what’s being presented is an invitation for the viewer to imagine (put) themselves in the picture. This technique is more often implemented by not showing a face, but just the back of the head.